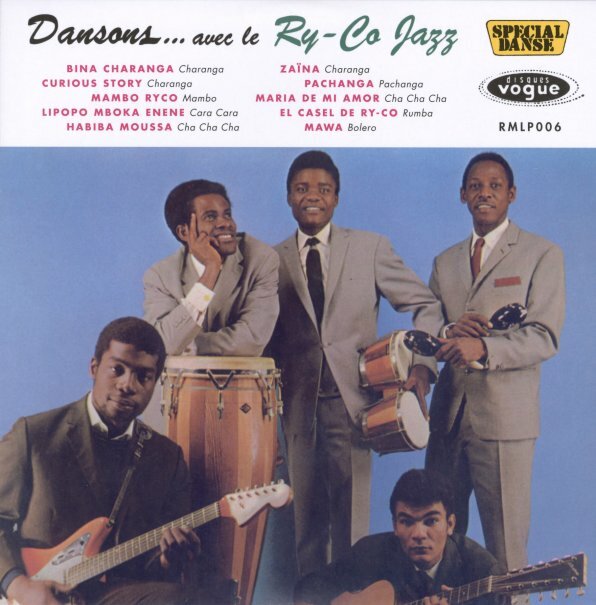 An early killer by Congolese combo Ry-Co Jazz – a set that's got as much Latin in the mix as the jazz in their name – and which serves up both with a lean style that's even groovier than some of the later work by the group! The album captures the combo at the height of their early fame – in the midst of recording lots of short EP releases that burned like a fire across the West African scene – where the group's reinterpretation of Latin American styles was part of a huge musical trend that would have impact for years to come! The work here is great – lots of jazzy charanga, mambo, cha cha, and rumba tunes – with tracks that include "Bina Charanga", "Zaina", "Maria De Mi Amor", "El Casel De Ry-Co", "Mawa", "Habiba Moussa", and "Mambo Ryco". © 1996-2019, Dusty Groove, Inc.